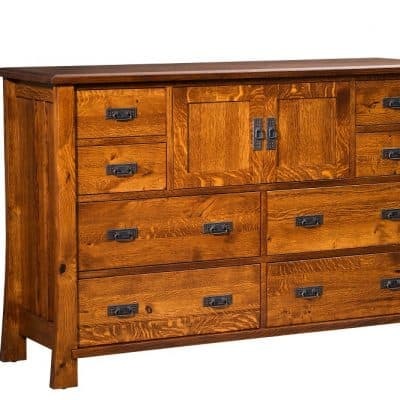 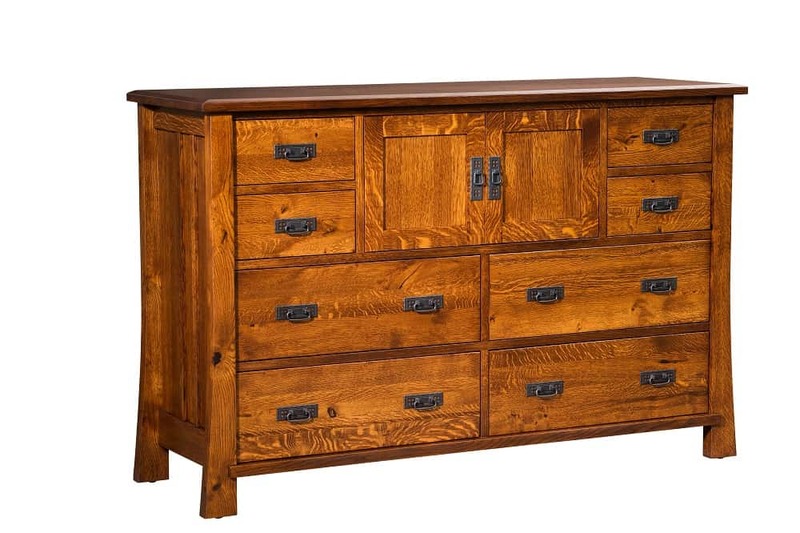 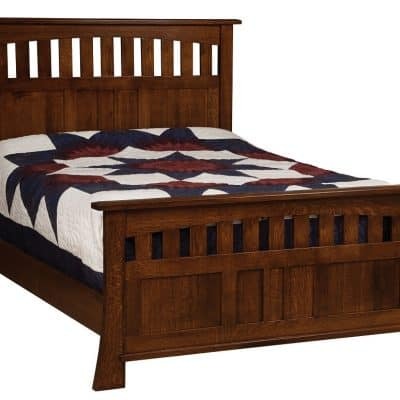 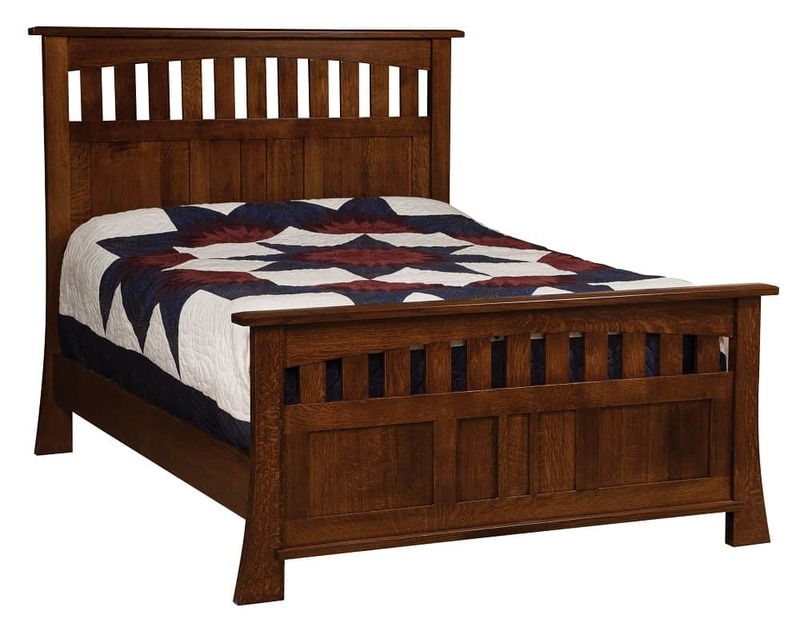 Grant Bedroom Set, Shown in Rustic Quarter Sawn White Oak with an Asbury Finish. 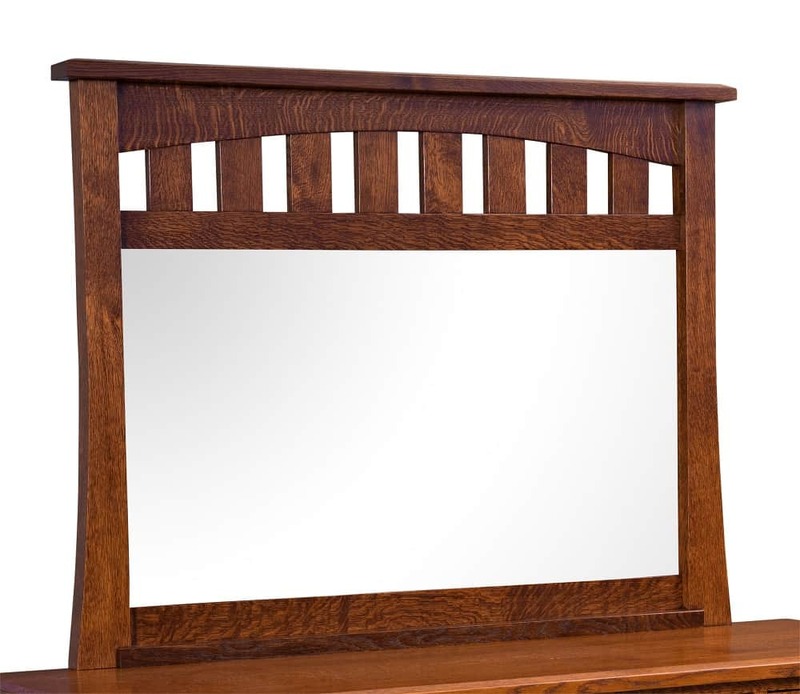 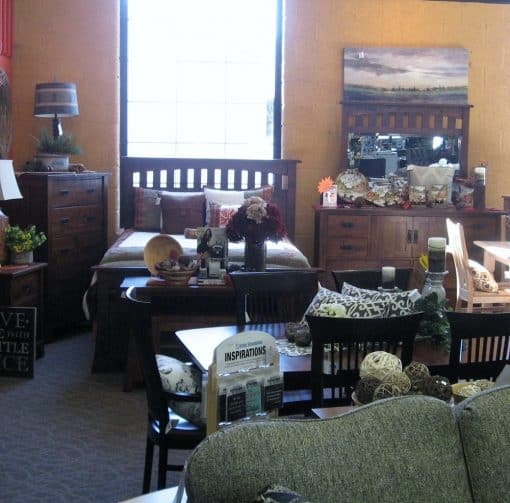 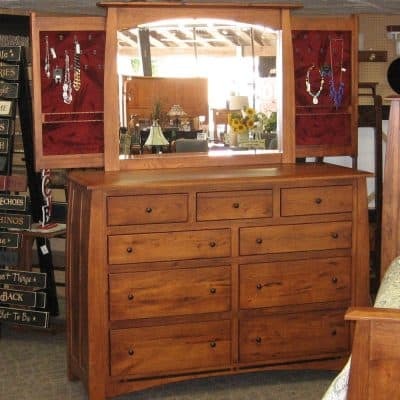 The set includes Queen Bed (Headboard, Footboard, and Side Rails), Mirror, 5 Drawer Chest, and a Mirror with 1 Drawer. 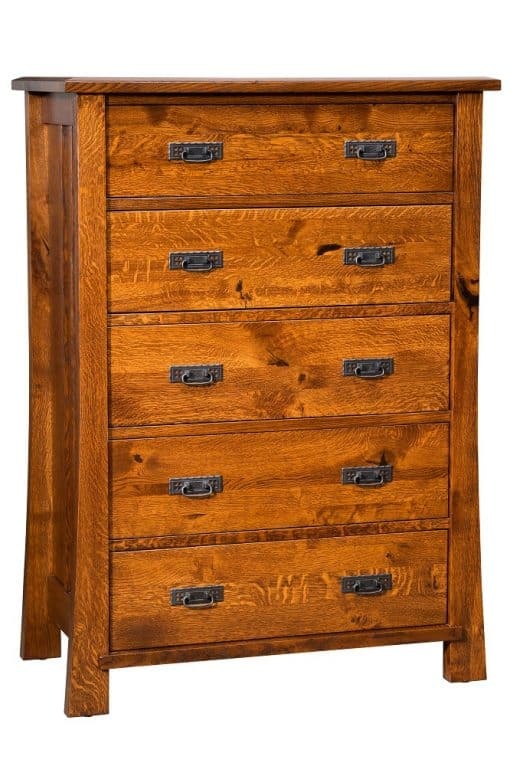 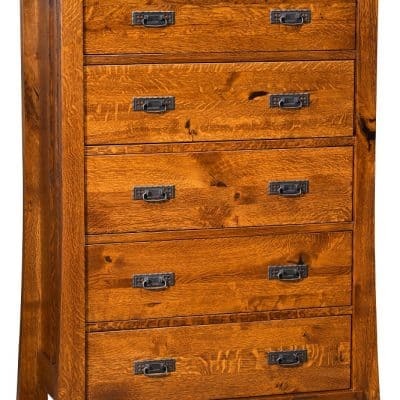 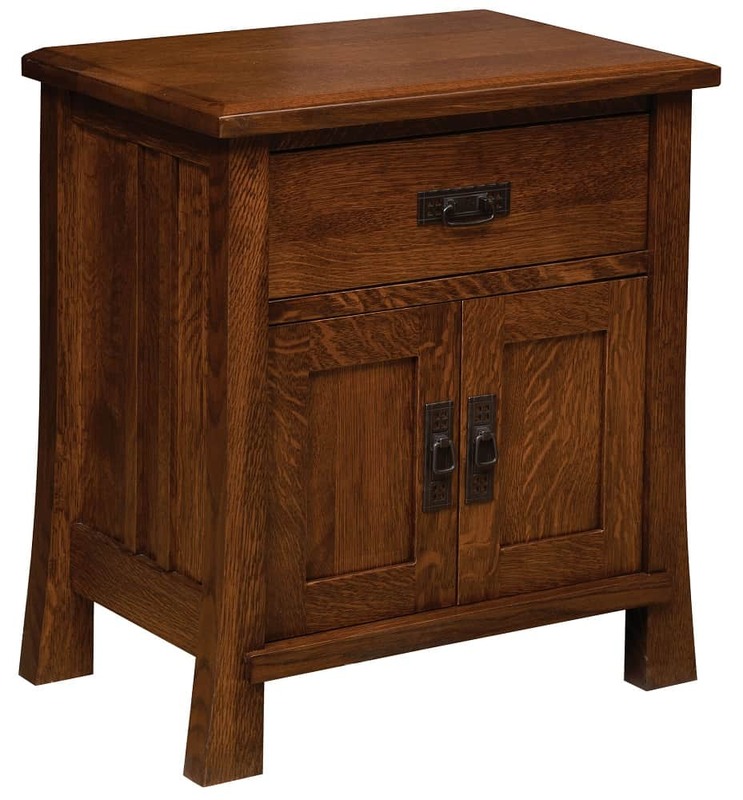 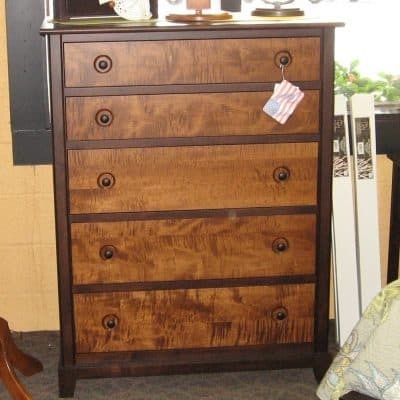 The 2 Door Nightstand contains a sliding top hidden locking drawer, with the option of a phone jack. 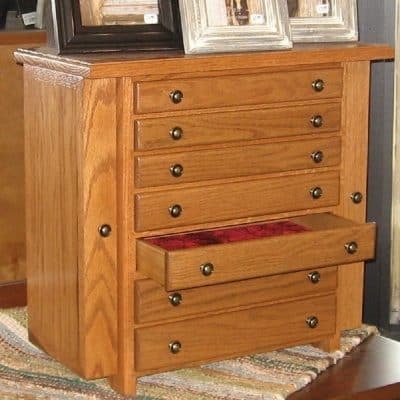 Other sizes, wood and stain choices are also available for special order.